We would like to tell you about a new aircraft class in War Thunder and also about guided air-to-air missiles and other new features in air battles that we will begin to implement after the release of update 1.85 “Supersonic”. 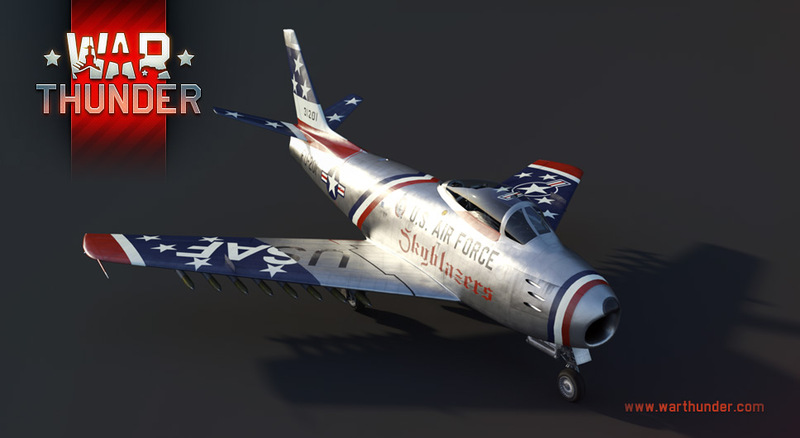 Aircraft have always been a very important part of War Thunder – it was the first vehicle type available in the game. Since the early days of War Thunder, we have recreated over 650 aircraft models – that’s the largest digital interactive collection of aviation in the world. And these are not just visual models, their flight characteristics, armament and other systems are thoroughly recreated in the game. Initially we deliberately limited aircraft time periods with the golden age of piston-engine aircraft to the beginning of jet aviation, since these machines truly demonstrate the personal and tactical skill of a pilot. Guided missiles seemed to be a feature that will level all pilots independent of their skills, this is why we did not initially plan to implement them in the game. But the community has become more and more interested, so we decided to study the issue thoroughly and to find a way to implement this feature in our game. We ran the first tests with in game prototypes back in 2017 and we have been working on new game systems and new aircraft ever since. Finally, we are happy to introduce all of this to our players. Meet a new age of War Thunder aviation – rank 6 aircraft! 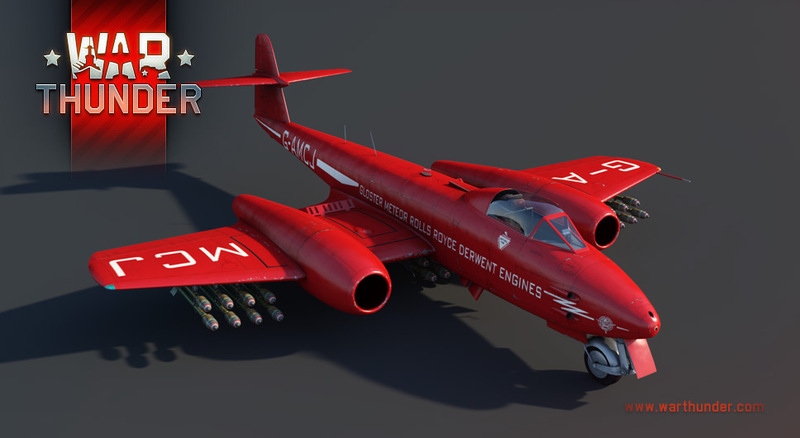 In update 1.85 “Supersonic” we will introduce the first supersonic jets: The Soviet MiG 19PT, the American F-100D Super Sabre and the British Javelin Mk.9. All these aircraft are supersonic and they are armed with a new weapon type – air-to-air missiles with infrared (heat) seeking. Air-to-air missiles are a new type of munitions in our game. Historically they appeared in the second half of the 20th century and were designed to solve the problem of hitting targets that were flying at extremely high speeds. The relative speeds of jet fighters were so high, that pilots could hardly aim efficiently with machine guns and cannons. Air-to-air missiles have a long history of development, like aircraft. Modern missiles have great capabilities at finding and homing in to a target and their maneuverability surpasses that of modern jets. If a target is captured by a homing device this usually means that it will achieve a hit. However this has not always been the case. The first air-to-air missiles had limited capabilities with capture range and possible overload. To capture a target a homing device needs some time to lock on to a target and all this time the pilot has to hold the target in a pretty narrow sector. When noticing a missile launch, a targeted pilot could relatively easily evade it with sudden maneuvers or by flying the aircraft against the sun – infrared devices would lose their targets against such bright obstacle. Being implemented in the game all these features and limitations allow us to believe that the new weapon type will not dramatically change the air battle experience but will add new opportunities that will make gameplay more diverse. New armament types will be introduced not only to combat planes, but to helicopters also. Helicopters will receive new types of defense to counter air-to-air missiles: heat flares, exhaust infrared suppression system and counter-optical-electronic systems. This will allow a reduction in the range of air-to-air missiles when launched from one helicopter to another and will allow interruption in missile guidance thus keeping primary weapons still useful. We will also add a simulation of a visual detection of a missile launch, that will be displayed in the interface. It will depend upon crew skills. We hope that all of these features will make our game more exciting and diverse, and you will like it. Looking forwards to your feedback, see you in the skies! Q. Will be the F-4/F-16/F-22/Su-27, etc. be added to the game? Further development towards more modern aircraft is possible, but these additions will be incremental, as it requires precise analysis of vehicle possibilities and their effect on game balance. Besides, the addition of specific aircraft doesn’t mean the addition of the whole range of weapons available for it’s real prototype. Q. Any plans on aviation units like the Tu-95 or B-52? We doubt strategic bombers realization is required, though some tactical strike aircraft. including subsonic attackers, may possibly appear in the game. Q. What about airborne radars and radar homing missiles? These may possibly appear in War Thunder if we manage to make them easy to use, easy to learn, and without affecting gameplay and game balance. We will keep you in the loop, whenever we start working on it. Q. Helicopters carried rather advanced air-to-air missiles. Won’t they affect the game balance? That’s true, as helicopters had been equipping air-to-air missiles in later periods. Those were more advanced and effective units, like AIM-9L, and R-60. However, helicopters have less maneuverability than aircraft, also having their engines heat signatures significantly less visible, i.e. shorter lock-on distance for missiles. This makes opposition against helicopters and aircraft more fair: A jet fighter has better dynamics, while a helicopter is able to launch missile at a distance exceeding it’s guns aiming range. In this encounter helicopters’ air-to-air missiles won’t be too imbalanced, especially with the planned countermeasures, like heat flares and jamming systems. Q. What about counter-measures for aircraft? They will be introduced along with aircraft that had such devices. Q. Do you plan to add air-to-air missiles for already existing aircraft? It is possible if an aircraft could be equipped with such armament. Q. Will there be any BR changes for rank 5 aircraft and against which enemies will new aircraft fight? Will they not be too effective against the aircraft already presented in the game? BR for new top aircraft will be selected as a base from their capabilities and the capabilities of their opponents. In addition the new top aircraft will have implemented a number of features and limitations inherent to real vehicles which will also give the chance for aircraft already existing in the game. Q. Will be 6th rank aircraft available immediately with the release of update 1.85, or will it be implemented as CBT? Yes, they will be available immediately with the release of the update 1.85. We do not plan CBT for the 6th rank. Q. Will aircraft of the 6th rank be added also for other nations? Yes, we plan to add 6th rank for aircraft of other nations, we are working on it. Q. With the addition of Rank VI Aircraft, does this mean there will be no more piston engine / WW2 Era aircraft added? No, we will continue to work on aircraft from the 30’s to the 50’s as well. Q. Will you implement a sonic boom effect in the game? Yes, we will. Both the sound effect and the visual one – the Prandtl–Glauert singularity. Next ›War Thunder: Jet Packs!